Subscription Boxes are all the rage right now. I mean its the best thing ever to receive a cute box in the mail filled with goodies, they also make the perfect gift! 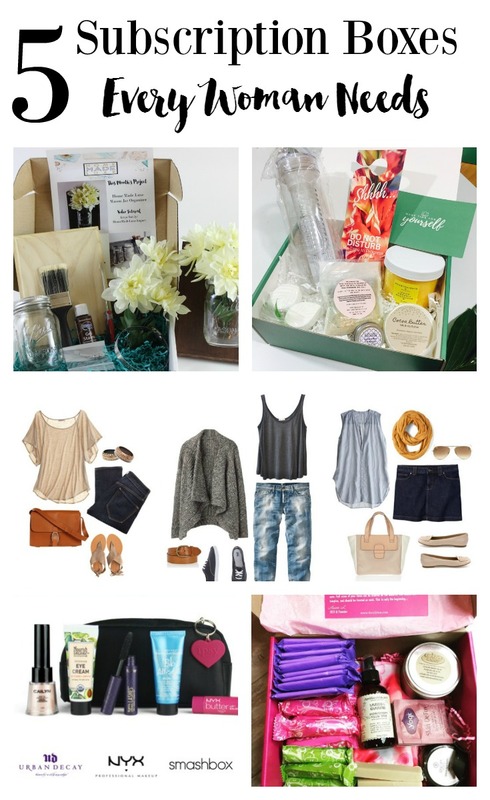 So right in time for the holidays I thought I would tell you about the best subscription boxes for women. Like literally every one of you should subscribe to at least one if not all of these. Please note this post contains affiliate links. Home Made Luxe is Pinterest delivered to your doorstep! 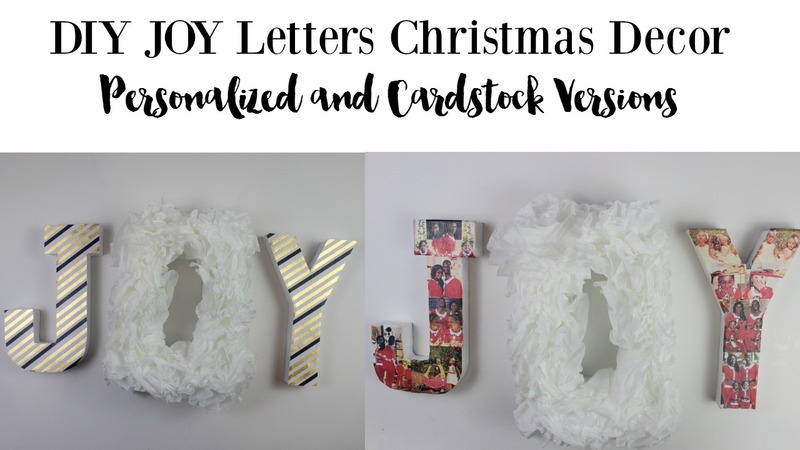 They deliver all the materials you need to make a gorgeous home decor project every month. The box also includes step by step written instructions and a link to video instructions. The included insert also gives you a popular pin worthy recipe to try and instructions for another diy project with materials too big to fit in the box that you can do on your own. You know how you pinned like 1 million DIYs to your pinterest board but you have actually made zero of them? Well Home Made Luxe lets you stop pinning and start making! They even have party packs, which are perfect girls craft night as well. The best part is that its not flimsy craft projects these are custom home decor projects you get to enjoy your home for years to come. Ok I’m a bit biased on this one cause I created it! But I honestly created a subscription box that I thought every woman needed. As women we never take the time to do things just for us. Mommy Alone Time is something I schedule to keep me sane and to get some joy back, I grab a glass of wine and craft because it makes my heart sing! Use Coupon Code: BAJANTEXAN for 10% off your first box! 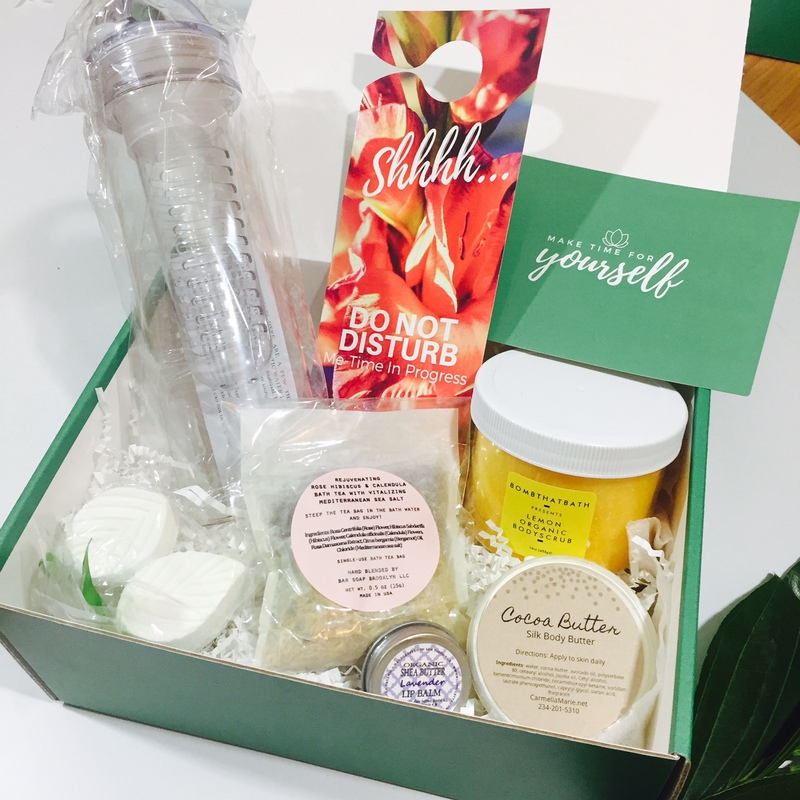 With children, work, and other obligations, carving out time for relaxation can be a challenge.we all know how difficult it can be to get away and pamper yourself, so these self-care boxes are basically me-time delivered to you. Every 8 weeks, the Bloom Beautifully box will hit your doorstep, full of self-care goodies in the following categories: beauty, health/wellness and personal development. (Think The Year of Yes by Shonda Rhimes and luxurious bath bombs, tucked next to some specialty tea and a face mask you’ve been dying to try. That type of thing.) I alsolike the additional perks like access to their private Facebook group, discounts to their self-care retreat and weekly affirmation emails. What is the one thing that happens to us women once a month whether we like it or not? That’s right this box covers everything Aunt Flo. While its convenient to not have to go to the store every month for tampons and pads, FemLy is so much more than that. Most women don’t know the medical dangers of using tampons, this box delivers organic feminine products! That’s right folks no risk of toxic this or shock that! 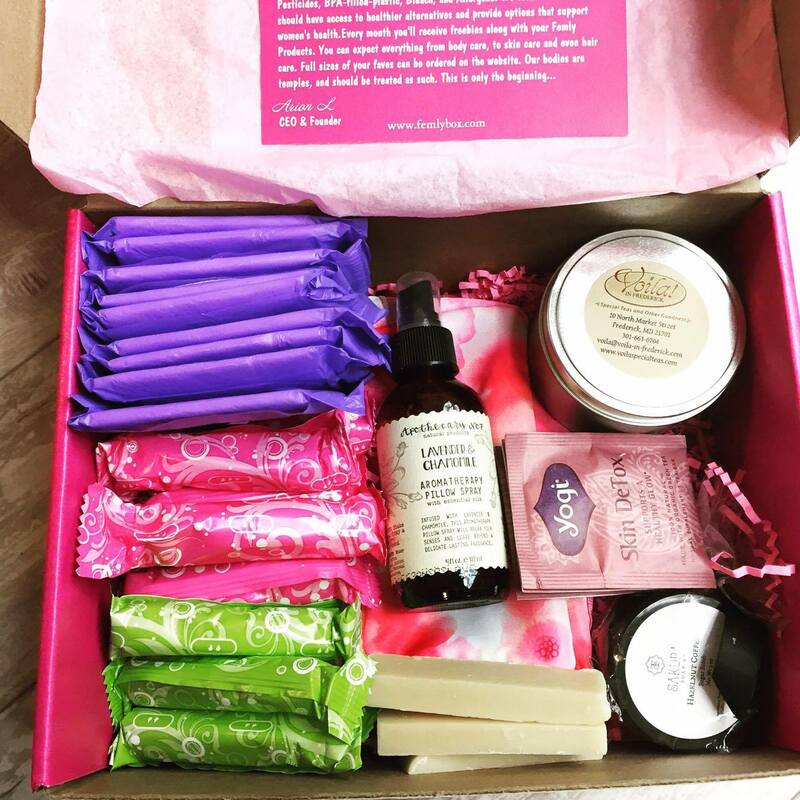 But its not just tampons and pads, FemLy Box is a monthly subscription box that is filled with natural feminine products, snacks, lifestyle items and more! They also offer a welcome to motherhood box and a my first period box. What a great gift for your little one getting their period for the first time or for that first time mother who needs extra care down there. Ok we are women so a beauty box had to be on this list. I’m actually not that into makeup but I enjoy getting this in the mail every month. Makeup isn’t something I would go walk the aisles to spend money on, so I love getting to try new products at a really reasonable price. I love that the items come in the cutest little bag which is different every month. 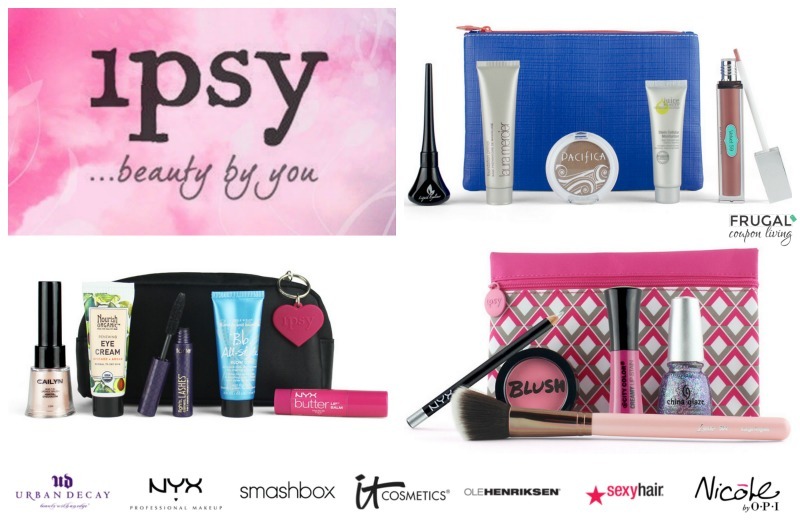 So each beautiful Glam bag contains 5 beauty items, deluxe samples and full-sized beauty products. Members can watch and play along with the stylists with the same products that they are using. Am I the only one who never has time to buy clothes for myself? And even when I do go shopping I end up finding lots of cute stuff for the kids and nothing for myself. With Stitch Fix you get your very own personal stylist, who sends you outfits every month based on your preferences. You keep what you want and return what you don’t, it’s perfect! Cost: The styling fee is $20, which you can use toward the cost of the items you wish to keep. 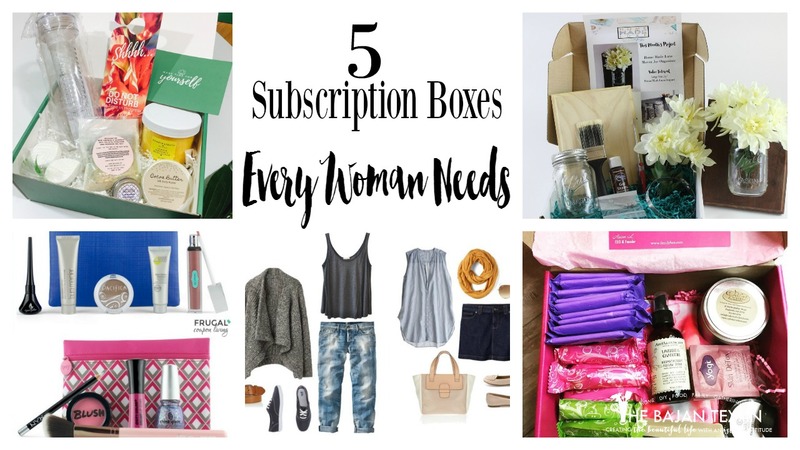 And there you have it the best subscription boxes for women! 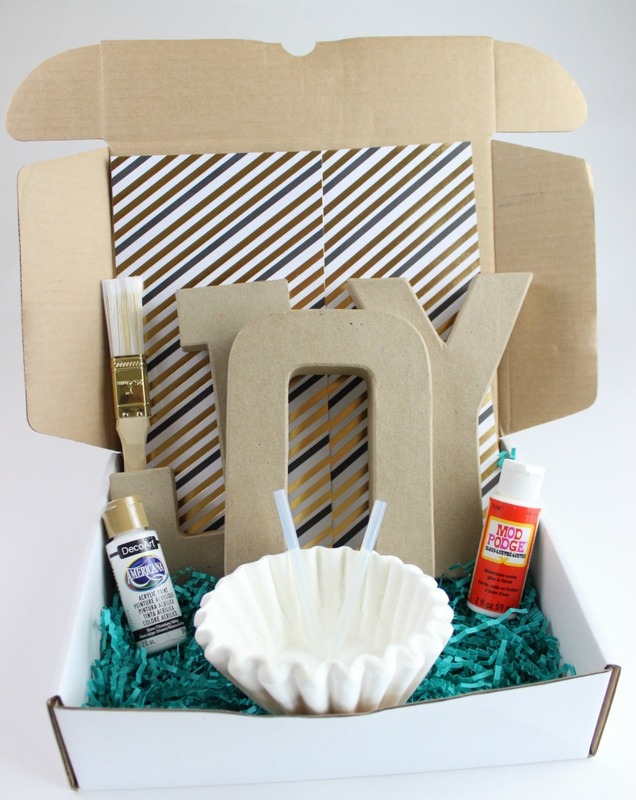 A box for every part of your crafty, beauty, self care, fashion and feminine hygiene. You are welcome.